Nintendo’s website is listing a few new upcoming titles for the Switch eShop. Danger Mouse: The Danger Games, Sword of the Guardian, A Case of Distrust, and Party Crashers will be rolled out over the next few weeks. Welcome to The Danger Games, where you’ll dash, jump, fly, and shrinkatize your way to the finish! 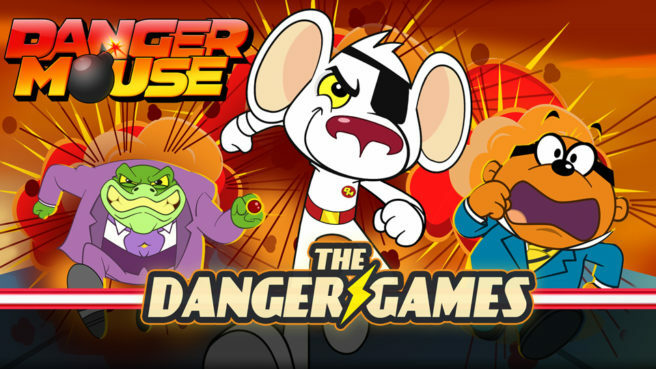 Play as Danger Mouse, Jeopardy Mouse, Colonel K, Penfold, or a host of other lovable heroes and nefarious villains from the hit BBC show, Danger Mouse. Gain new character and item cards with each win that can be used to activate new attacks in races, or enhance and strengthen your characters. The Danger Games on Nintendo Switch™ also supports up to 4 Joy-Con™ controllers on one device, so you can face off against your friends from the comfort of your living room (or anywhere else!). * Pick up and race anytime, anywhere, against anyone on Nintendo Switch™! * An addicting game that you won’t want to put down!